UberEther | Enable Your Business, Securely. Welcome to the New UberEther HQ - UberEther, Inc.
A few weeks ago our team in Virginia moved into our new headquarters in Sterling. When our previous lease came up for renewal we started talking about what the next ten years of UberEther would look like and how we could better enable our team and customers to deliver solutions more effectively. In the last seven years we’ve grown past delivering identity and access management solutions to managing all aspects of our customers’ hybrid cloud environments, with a focus on the security of operations up and down their technology stacks. A plan that has been in the works for nearly two years has finally come to fruition. This plan countered all the industry trends right now and for good reason. We focused on providing our team with private offices to allow them to concentrate on work instead of an open floor plan full of distractions. All of our collaboration spaces are loaded with Google Meet hardware devices to allow us to start video conference calls with the touch of a button. We put in a Jamboard to allow us to whiteboard live with our customers and remote teammates all over the country. The Jamboard even lets them draw right back with us from their tablets allowing us to collaboratively work through problems faster. We can pull network and application architecture diagrams straight into the jam and point to exactly where we think the problem might be. The space also has dedicated areas that our customers can come in, join in the planning of their next major project and still be able to have a private place to go if they needed it. 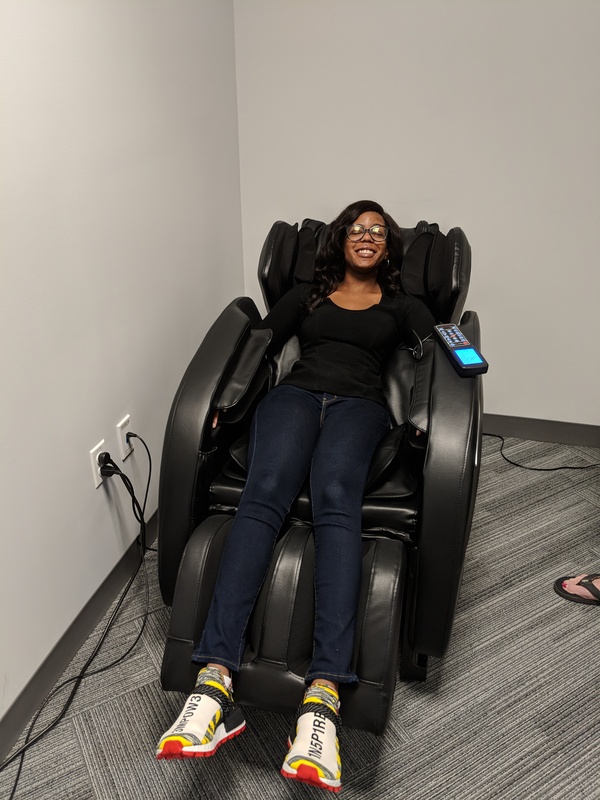 We even put in a relaxation room for those really tough days when you just need a quick massage before heading home for the day. While many organizations have their teams spread all over the country, we have repeatedly found that having a house of experts all under one roof provides better solutions. Problems can be solved over the lunch table, which otherwise might carry on asynchronously for days without the benefit of in-person interaction. With our team’s diverse set of skills this approach allows us to pull in any one of our experts into whatever problems our customers are facing that day by literally walking down the hall instead of trying to reach them remotely over hangouts or calling them. Many of you know of our team’s experience building some of the most scalable and reliable IAM solutions in the government. We guide high profile agencies and secure their mission critical payloads. Through that work, we were driven to automate extremely large scale deployments to manage hundreds of IAM servers and integrate the platform we developed with applications around the globe. We work hand-in-hand with development teams searching across sensitive and highly regulated big data sets, defining their DevSecOps pipelines and deploying code and policy changes in near real time. These agencies fully understand that security is the foundation to their successful migration into the cloud and continue to count on us as their team to govern their environments from the ground up. Over and over again we are told we’d never make the deadlines and could never perform zero downtime migrations into brand new environments; however our small team kept proving them wrong and racking up the kudos along the way. This is the model project for how to change business process, gain engagement along the way, and produce an excellent outcome. Now we are bringing that same focus and dedication to securing the workloads of commercial and government agencies alike. We are all up against a major talent shortage in the information security industry and without everyone working together we’re just going to see more and more corporate data leaked and the hacks get larger with greater consequences. We believe that some of the approaches we’ve taken will help organizations gain control of their security backplane. Our goal is to work closely with organizations to drive innovation and deliver solutions and do it securely. Working closely with their teams and teaching them how to make security the enabler for their organization instead of a cost center detracting from it. Drive innovation, deliver solutions and do it securely. In the near future we will be outlining some of the digital transformations we’ve been working on. We’ve been hard at work automating many of the common problems we see repeated over and over again and extending numerous vendor products to meet the emerging hybrid cloud problems our customers are facing. Whether you need help planning, building, running or just modernizing your organization’s security architecture, we’re here to help. I couldn’t be more proud of the team through this office transition. There were many hours put in outside of our normal day jobs to make the move a success. Not surprisingly, we had no bad surprises on the first day of launching the new office and everyone was able to get to work right away. 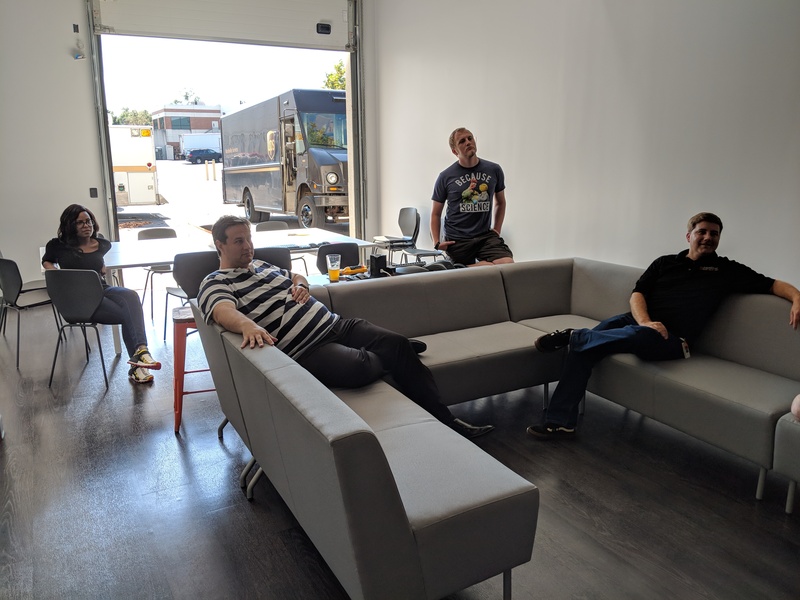 We have nearly tripled the size of UberEther’s office space with a purpose built home for learning, growing, communicating, solving crazy challenges together, and loving the journey. The team we’ve built over the last seven years is truly amazing. By far it is the best team I’ve had the pleasure of working with in my career. Obviously, I’m a little biased here, but it’s the honest truth. I can’t wait to see how we can help modernize the security of more organizations. We’d love to talk to you about the security challenges you’re facing and see how we can apply our experience with these large scale deployments to help you enable your organization to drive innovation, deliver solutions and do it securely. The new headquarters looks pretty cool. I am looking forward to seeing it next week when I meet the team! The new office looks awesome. Congrats – looks awesome! I’m looking forward to seeing it in person.